My 2-year-old is suddenly all about skirts. Skirts, skirts, skirts! She needs a skirt to dance around the living room and she needs a skirt to play trains in. I decided to whip up this simple faux-wrap skirt to add to her ever-growing skirt repertoire and realized that this very easy project can be modified to any size of skirt-wearer. Skirts! – ribbons and iron-ons, if so desired. Time Required: 1 to 2 hours (or less if you’re really speedy). 1. Get your material cut to size. You want material that is about 3 inches longer than your desired length (when held to waist), as this will cover your hemming. You will also want it to wrap about 1 and 3/4 times around you (or your kid, etc.). 3. Fold your material so that about 1/3 of it overlaps another 1/3. 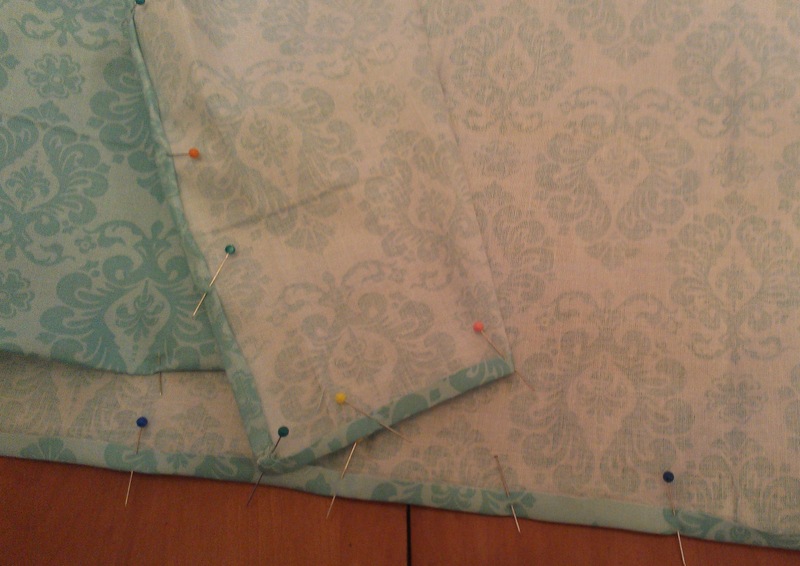 Those overlapped pieces should be pinned and sewn at the top hem. This will give you a tube of material with an overlapped panel at the front. 4. 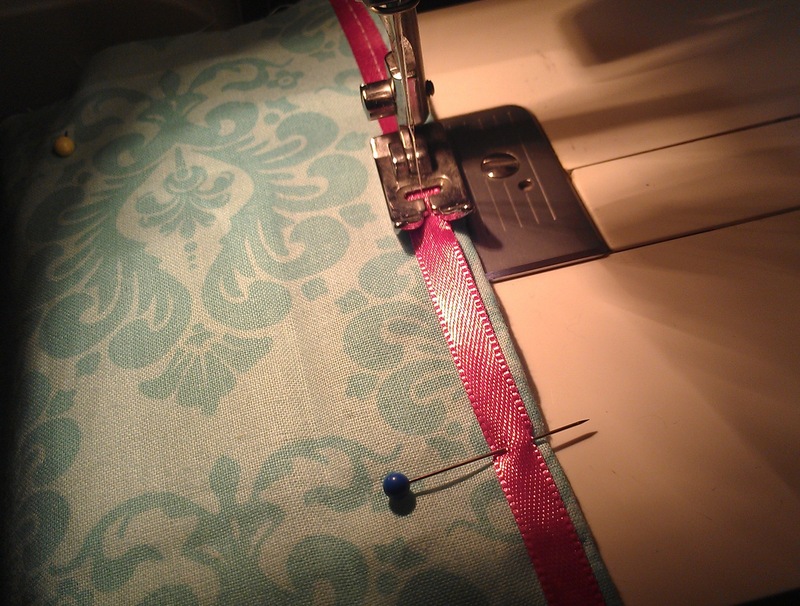 Fold your top hem down about 1″ (or more, depending on the size of your elastic), pin and , starting from the back, sew all around except for the end, where you should leave a couple of inches. 6. 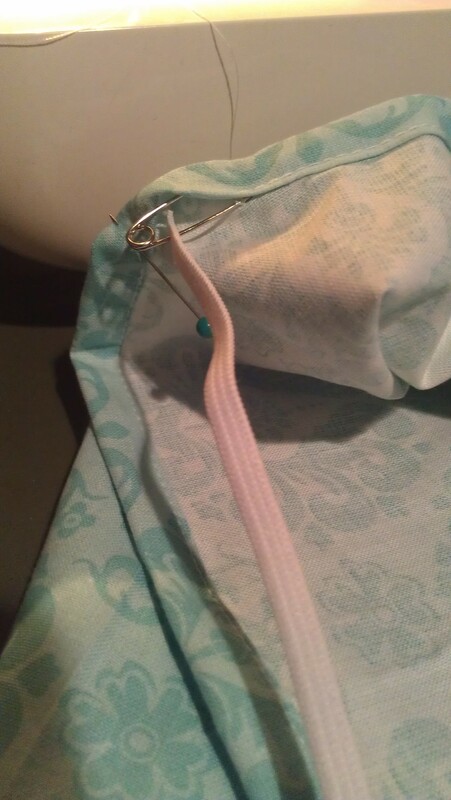 Sew or iron on any little extras, and you’re done! 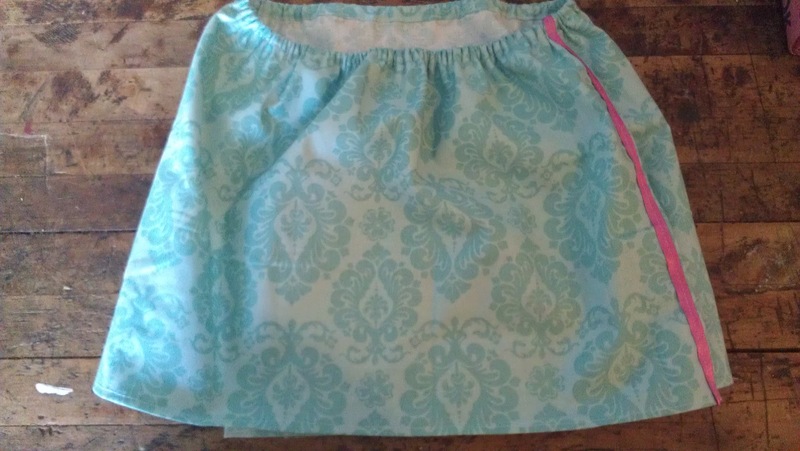 One quick and easy skirt. Do it! It will look great on you!